What was your latest tactic to get people to sign up for something? Chances are it might have been a competition. When we go to introduce a new concept, something boring but necessary or when a subject’s generally difficult to explain, we slap a competition on the front to arouse employee interest. Like offering sweeties to children, the prospect of a prize makes our proverbial ears prick up .“Ooh a piece of candy!” Because why else will your staff ever bother to log on and look at their pension, or budget calculator, or whatever HR thingamy nonsense it is this week. I get it. It’s hard to get people’s attention, especially in the workplace when you’re fighting to be heard over ten thousand more important priorities. Positive reinforcement is a tried-and-tested classic for a reason. It’s simple, it works. Right? It gets people to sign up. It does the job. But does it equal employee engagement? A closer look at the competition incentive reveals that it might not be as effective as you first thought. Yes you got your sign-up, and the numbers don’t lie. But how do you know that person will ever come back? How do you get them to benefit from the value you intended when you set up their employee benefits platform in the first place? The very act of turning a task into a means for attaining something else, changes the way that task is perceived, and may actually have a negative impact on their experience with the program. Because what they’re actually engaging with is isn’t the shiny employee benefits hub you’ve painstakingly put together to enhance their lives; it’s the holiday, the cash, the latest electronic gadget. 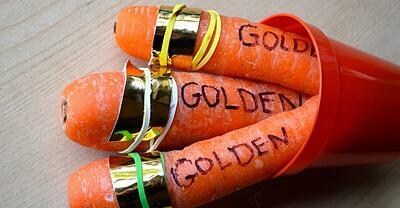 Whatever golden carrot you’ve dangled tantalisingly in front of them - that’s all they care about, and your success at “employee engagement” is simply to have transiently raised their interest in a meaningless prize draw. It’s positive reinforcement, but doesn’t reinforce the behaviour you want to elicit. But there is a third reason that the use of external motivators can backfire. People come to see themselves as being controlled by a reward. They feel less autonomous, and may be actually be repelled and turned off from engaging with the benefit. If you’re going to create genuine, long-lasting employee engagement, you need your people to experience a sense of initiation. Somehow, you want them to feel like it was their idea, for them to discover the value for themselves. Clearly that’s easier said than done, and sounds counter-intuitive to say the least in terms of employee communications. But if you’re tearing your hair out in frustration by this point don’t give up hope just yet. People are most interested when their curiosity is aroused, and to do that you need to create a buzz around the benefit itself. Your program needs to offer genuine value in order for people to talk about it, and once they start sharing stories about the platform, the reasons to sign up start flowing by word-of-mouth. But how do you get your employees to do your marketing for free? 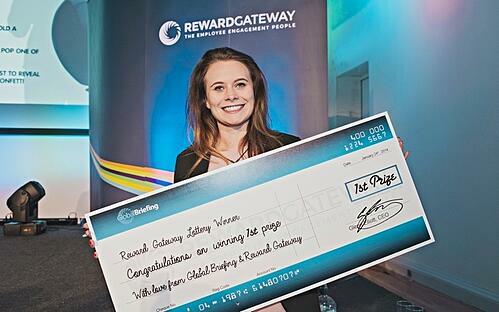 At Reward Gateway, many of our clients generate engagement with their employee benefits programs through a word-of-mouth strategy called ”Benefits Champions”. By nominating representatives in different departments or business units and giving them access to your new employee benefit initiative early, you can create an educated and enthused army through which to transmit the good news. This works really well at all types of business, even those with multiple sites and divisions. And by nominating “Benefits Champions” for special early access privileges, you can instil a sense of responsibility in your reps that makes them feel trusted. You can even create a competitive element between teams with leaderboards to compare how many people they’ve got to sign up or how much their collective teams have saved. And by distributing the responsibility across an entire team, you maximise your chances of spreading the word, while reducing the pressure on you. The “Benefits Champions” project is just one of a range of employee communication strategies you could try that actually engages staff and keeps them coming back and benefitting time after time. Perhaps it’s a little aggressive to claim that competitions are ruining employee engagement. After all, when you need numbers to back up your success, a competition can help your sign-ups jump right up. But if you want that deep, genuine engagement entrenched into employees’ lifestyles and routines, you might need to try something a little more creative.